Online Marketing or more commonly referred to as Internet Marketing has adapted to several changes over the past few years. Here we take a look at some of the relevant and important changes that brought a huge impact on how businesses conduct Internet marketing. Internet marketing was first thought to be merely just a form of advertising where the only difference was the usage of the Internet instead of the traditional forms of media in relaying the company advertisements. Display advertising involved reaching customers and delivering messages with the use of text, logos, animations, photos, videos and other graphics. Common forms took place as banners and pop-up windows that are displayed in various websites that their target consumers usually go to. There were different ways in which these advertisements were placed throughout the website. However, when the concept of text ads was introduced, it brought up a lot of change in the traditional display advertising. Text advertisements are ads that convey messages through words or phrases. This now made another form of Internet marketing possible that is SEM or search engine marketing. Search engine marketing or often abbreviated to SEM is a form of internet marketing or online advertising which targets to intensify websites’ traffic in search engine results. Because companies want to put their advertisements or display ads in websites that are popular or have many visitors that are potential or current customers of the company, they want to be sure that they put their advertisements in the right place. On the other hand, companies may also have their own official websites where they put up their own advertisements and information about their products and services. It only makes sense that they too would want more people visit their own company website through search inquiry on search engine results pages and not just through clicking their banners and ads on other websites. SEM is used by both website owners and companies alike. For website owners, they aim to get more visitors to their site so that more companies would be willing to sponsor their ads on their web pages. While the companies use SEM to see if they are putting their ads on the right pages and if their own website is performing well in search engine results pages (SERPs). SEO, which means search engine optimization, is one technique under SEM (search engine marketing). It basically involves measures and ways in bringing websites to higher page rankings in search engines like Google and Yahoo. Most common tactics is by means of controlling the website’s content in accordance with the key words with high search inputs in search engines. 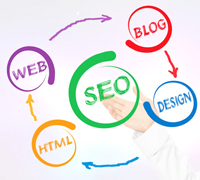 Many companies offer SEO services online like Majestic SEO. Their main goal is to help the business establish their presence online and introduce themselves to a wider range of customers across the globe. Majestic SEO gives its clients search engine optimization tools that would help them better understand and develop tactics in knowing which contents and keywords they should focus and use in their website to generate higher traffic and increase their online business transactions. This top SEO company also aids their clients on the changes on the algorithms that search engines do frequently so that all of their hard work won’t go to waste and maintain their rankings on search engine results pages. Internet marketing is a competitive world where everything changes almost everyday making it very risky and full of uncertainties for businesses worldwide. However, its returns and benefits are also promising and engaging. That is why companies like Majestic SEO are there to help these businesses overcome the challenges that players in the online advertising game face.